→How Do You Get Color Blindness? Learn the Truth About It! If you have plenty of questions about this issue, I suggest that you completely read this whole article. As statistics have it, men are more affected by color blindness than women. In Northern Europe, 8% of men suffer from red/ green color blindness while only 0.5% of women suffer from it. Fewer women suffer from color blindness since they have two X chromosomes (genes responsible for color blindness are found in the X chromosome). What happens, therefore, is that if there is a defect in one of the X chromosomes in females, the other X chromosome will cover for it. With males, this isn’t the case as they only have a single X chromosome. When the chromosome gets a defect, males lacks another one to compensate for it, and this results with them getting color blind. There are three different degrees of color blindness ranging from mild, moderate and severe. A mild color blind person can see some colors in bright light but will have difficulty telling colors apart in dim light. 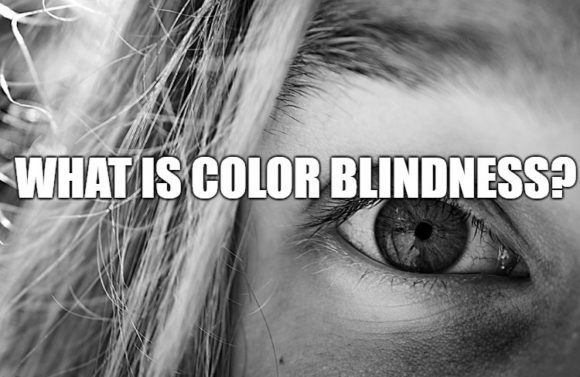 A person with a moderate degree of color blindness can’t see any color in any light while one with a severe case sees everything in shades of grey. If suffering from red/green color blindness, it means that can’t see some shades of red and green. Individuals with this type of color blindness will see red as brownish yellow while green may appear like beige to them. People suffering from red/green color blindness do not only suffer from a mix up of red and green. They tend to mix up all colors that come with some red or green colors as part of the whole. For instance, a red/green color blind person will confuse a blue pen and a purple one because he can’t see the red element in color purple. Majority of people around the world suffer from this type of color blindness and experience a lot of difficulties when driving since they can’t read traffic lights correctly. Selecting ripe fruits or clothes is also quite a difficult task for them. This type of color blindness affects both males and females equally. A person suffering from blue/yellow blindness is unable to see shades of blue and yellow. To them, blue will appear greener, and they will have difficulty in distinguishing yellow and pink. People suffering from this type of color blindness do not see any color. If suffering from total color blindness, it means that you also have vision problems. Most individuals suffering from color blindness inherited it from their parents. Inherited color blindness can commence from childhood or when one is already an adult. Progressive color blindness comes as a result of damage in one or more light-sensitive cells in the retina referred to as cone cells. There are three cone cells responsible for colors and should one get damaged or faulty; you will have difficulty in telling the red and green colors apart. Severe cases of progressive color blindness can lead to permanent vision loss. After cone cells in the eyes see color, the brain uses the input from these cells to determine the color perception. A damaged brain can’t have interpreted colors meaning that you won’t have an idea of the color presented before you. Accidents or swellings may cause damage to the brain. The cone cells are found in the retina and should the retina get damaged (mostly by exposure to UV lights and blue lights) you won’t be able to see different colors. Degenerative diseases such as age-related macular degeneration can also cause color blindness. Cataracts can also cause color blindness. A deficiency in Vitamin A can also cause color blindness. Drugs such as Plaquenil (medication for treatment of malaria) and chemicals can also cause color blindness. People suffering from color blindness may have some difficulty in educational activities, especially if doing lab experiments. Others may have visual acuity and thus suffer when their eyes get exposed to bright light. 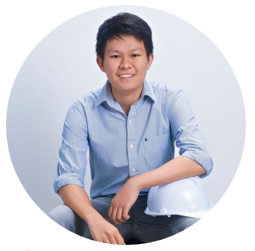 Another problem is that color blindness can make one to miss on jobs such as pilots and graphic designing since you have to be accurate in colors. The good thing, however, is that problems are minor and most color blind people adapt to them. No one knows the cure for color blindness, but one can manage it by using special lenses such as the Enchroma(Northside) Color Blind Glasses. These lenses can increase your ability to differentiate between colors. Also a lot of mobile applications are in place to enable color blind individuals to see colors in a better way. Color blindness makes individual to have difficulties telling different colors apart. If suffering from this condition, you don’t have to worry much about it. Get a pair of color blind lenses from an optometrist to help you carry out tasks by yourself. With the glasses, you’ll be able to read traffic lights correctly and also match your outfits. Hi Everyone! I created this website to share my thoughts about the solutions to various eye problems that are caused by too much staring at digital screens. I also tackle about preventive measures to minimize the harmful effects of UV rays.